Be careful, don’t step in the BCS MESS. Not only is the Championship game a repeat, but why should LSU have to beat Alabama twice to win the National Championship? Seems, like there should be a playoff or the only undefeated team of consequence should be declared the champ. Enuff already. 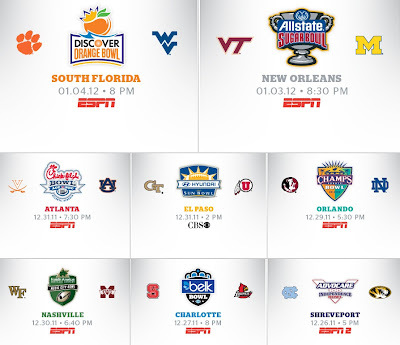 That said, two ACC teams are headed to BCS bowls. Dr. Pepper Bowl winner and ACC champ Clemson will head to Miami for the Orange Bowl against eventual Big (L)East champ West Virginia. The Hokies will head to New Orleans to take on Michigan. That should be a good football game. 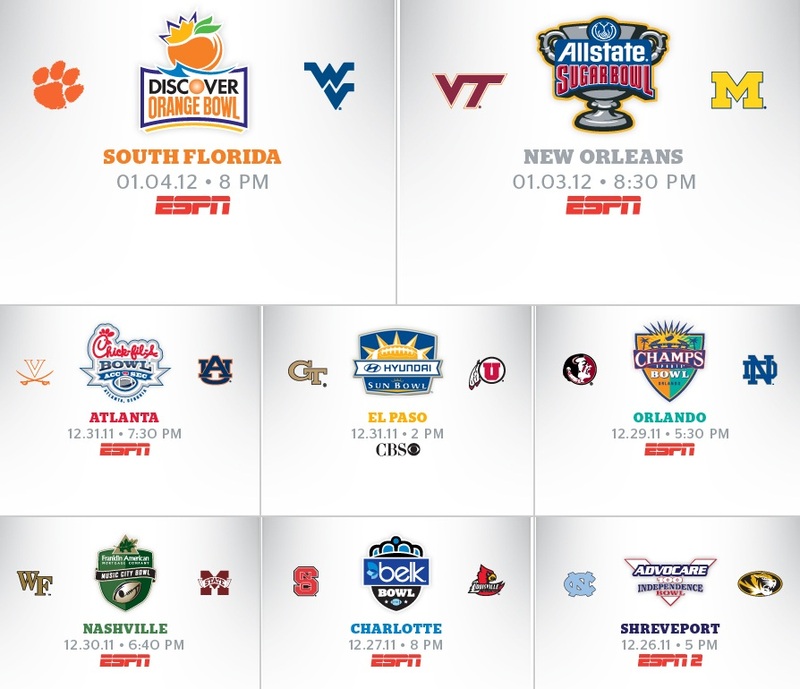 Here’s the ACC holiday lineup. *Take no offense Demon Deacons but the Franklin American Mortgage Bowl pitting these two 6-6 squads against each other is one more reason for a NCAA playoff. You could put the top 16 teams in a bracket and still play bowl games like this all over America. To read more, and we do mean more, click here.